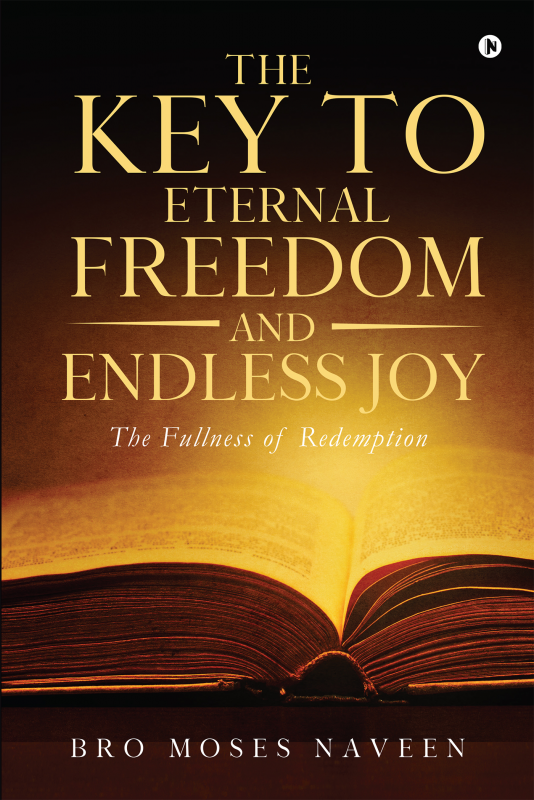 In this book, the author shows the way to eternal freedom and endless joy. He gives us a clear picture of the fullness of redemption with several quotations as evidence from the Holy Bible. Whenever you feel depressed, stressed out or feel like failures without hope, this book will boost your spirit, soul and body. This is not only a book but also spiritual food for each and every soul on earth. So, this is not a book just for one-time reading. It can be read over and over again to provide you with fresh energy. It will draw all people towards the Lord’s wings, connect people with God, increase eagerness in seeking God and make people stand firm in faith, in both spiritual and worldly life too. We will be filled with God’s presence and feel the freedom, which is eternal, and the joy, which is endless in our lives. Come and taste the heavenly life in your day-to-day earthly life, and be happy by the grace of God! Bro Moses Naveen is a 28-year-old writer from Chennai, India. He was born and brought up in a Hindu family and background. He finished his graduation in Tourism and Travel Studies. His natural thirst for knowledge makes him read a lot and learn from many useful websites. He was touched by our Lord Jesus Christ at the age of 22. In 2010, he was saved and baptized in Christ and started reading the scriptures. His calling of the ministry is to connect people to God, deliver and redeem people in fullness, by preaching and revealing the real truth and creating spiritual awareness and relationships among them. We can understand this fact when we read this book, The Key To Eternal Freedom and Endless Joy. Surely, publishing this book is our God’s will, done in the author’s life. This book is his debut work and by God’s will, he plans to release sequels for this book.